Reverend Davitra Y. Smith, a native of Philadelphia, was born and raised in the church. She accepted Christ at the age of six. Reverend Smith grew up in Philadelphia & Montgomery County schools and went on to study at Temple University. It was there that she accepted her call to ministry, preaching her initial sermon in 2002. In 2004, Smith graduated from Temple University earning a Bachelors of Arts Degree in Religion and certification in Business Administration. She worked at Temple in the Division of Student Affairs serving as a Director in Residence Life, receiving numerous awards. In 2006, she married her best friend Dr. Aaron X. Smith, who was known as “Fearless” on Philadelphia’s Radio One Stations. Currently, Dr. Smith aka The Rapping Professor, is the Morning Show Host on the Wake Up with WURD radio show. Dr. Smith also serves as an Assistant Professor at Temple University in the African American Studies Department. In 2010, Reverend Smith completed her graduate studies at Palmer Theological Seminary, earning a Master’s in Divinity degree. Smith also enjoyed the rewarding experience of helping students as a Teaching Assistant for Systematic Theology and through the Black Seminarian Fellowship. She was also highlighted as a premier, up and coming preacher in the 2009 Dr. Ella P. Mitchell Daughters of Thunder Conference. 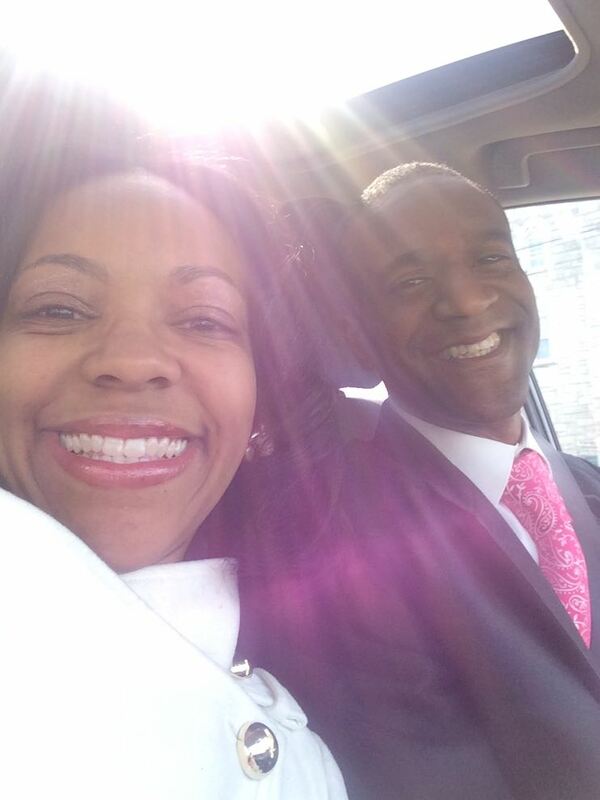 Reverend and Dr. Smith are the founders of Speak Light, LLC, an inspirational and intellectual speaking company. Their platform is to share a message of our history, and hope for what is to come. Speak Light’s aim is to inform, enlighten and influence the next generation to explore their endless possibilities and potential. With “The Rapping Professor’s” charismatic contemporary presentation and “Vitra the Preacha’s” passionate preaching they pray that God will continue to use them to change lives across the globe. Reverend Smith has a special place in her heart for those with special needs, whether physical, mental or emotional. She is an advocate of diabetes research, Type One in particular, and petitions legislators to continue research funding in hopes of one day finding a cure. Through her sorority, Alpha Kappa Alpha Sorority, Incorporated, she has also served as co-chair of the Childhood Hunger committee to make strides towards ending hunger in the city of Philadelphia. Reverend and Dr. Smith are blessed with two children, their daughter Jeniece Yvette Marie and their son Bakari Ade Xavier Smith. Among reading, nature, and spending time with family and friends, Reverend Smith loves to preach and spread the Good News!